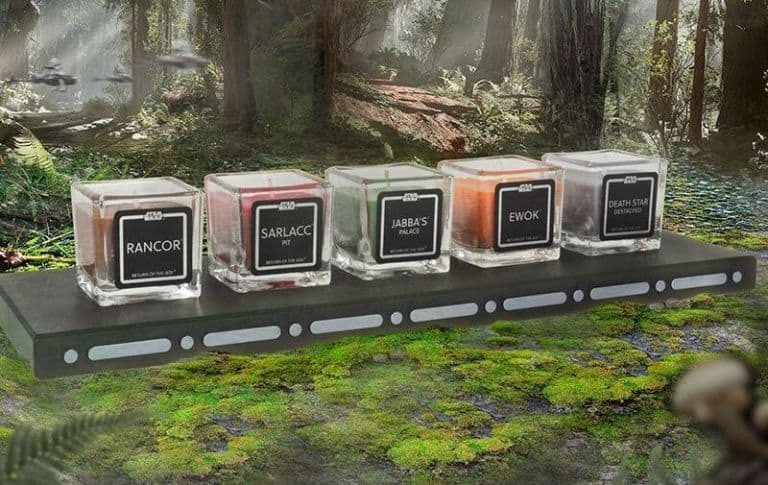 Have you ever wondered what bantha milk, Jabba’s Palace, the inside of a Tauntaun, or even Yoda’s cooking might smell like? 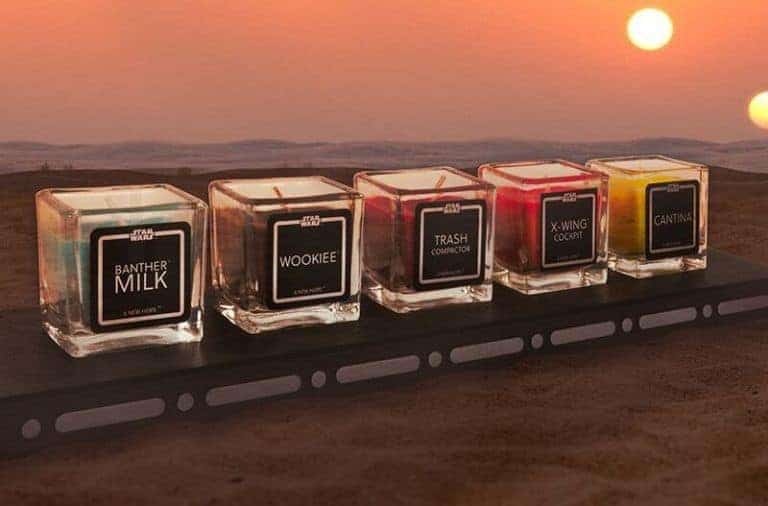 You might not be able to travel to the galaxy far, far away, but with this officially licensed candle set from Merchoid, you can at least make it smell like you are there. The fifteen candle set gives new life to any viewing of the original Star Wars trilogy, or just a night in at home. 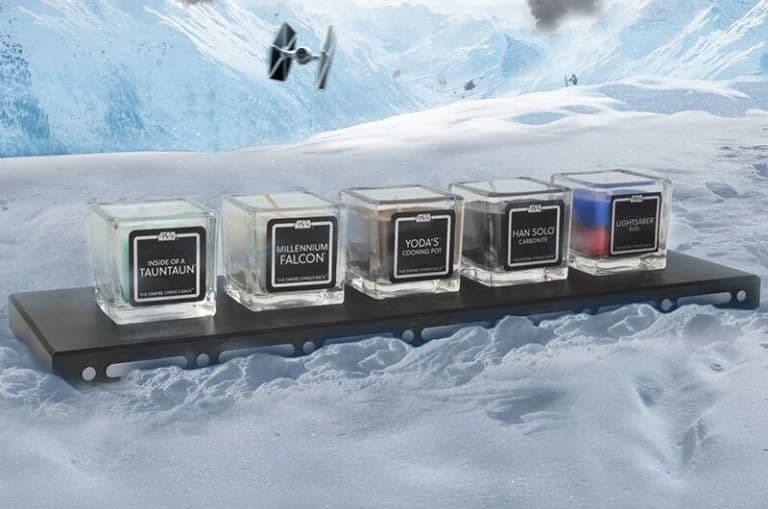 There are five unique scents from each film, available for purchase in three sets, or all fifteen together. You can also purchase the limited edition collector’s edition, featuring an engraved plinth for the candles, as well as a premium presentation box with magnetic closure. 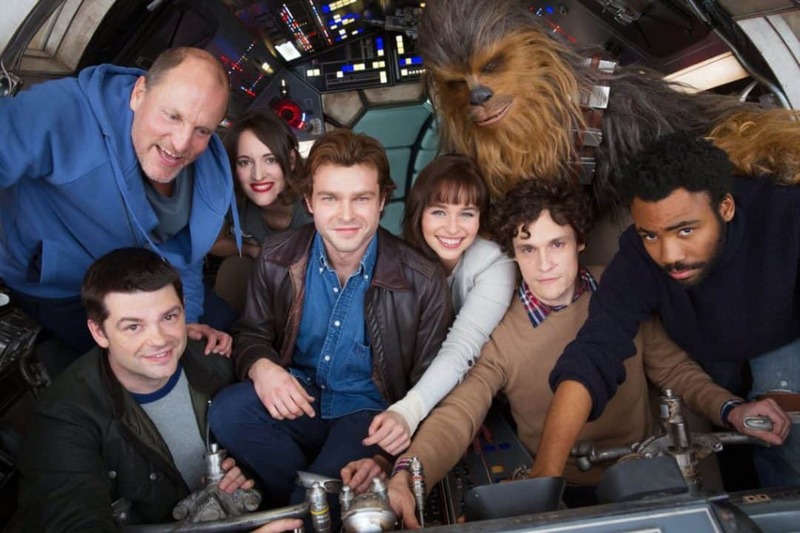 Wookie: Ever wondered what a walking carpet smells like? Bantha Milk: Love the smell of bantha milk in the morning? 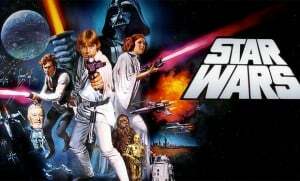 Lightsaber Duel: Do you prefer the smell of the dark side or the light side? 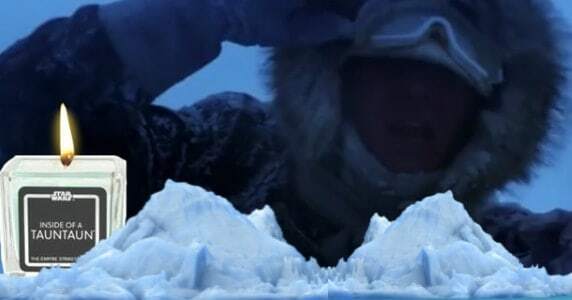 Inside of a Tauntaun: Thought it smelt bad on the outside? You’ve experienced nothing yet! Yoda’s Cooking Pot: Yoda’s legendary Force powers are only eclipsed by his cooking skills. Smell it for yourself! Ewok: Do they smell as cute as they look? Let’s find out! Preorder for the set of fifteen candles is currently $91.99, or $127.99 for the collector’s edition. 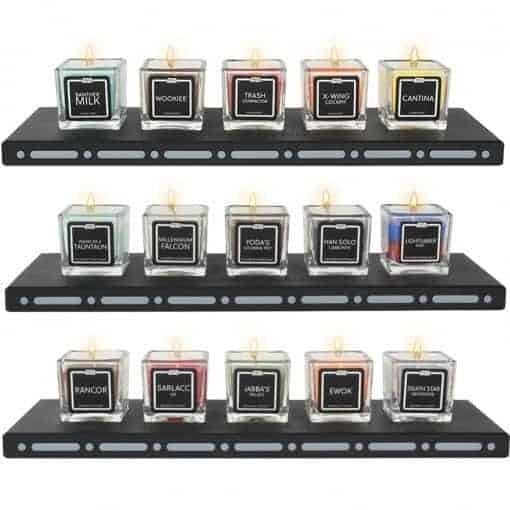 Each of five candles is $36.99 at preorder, or $52.99 for the limited edition. All orders to the US, UK, and EU come with free shipping. Which scent are you most eager to smell?